An almost complete assembeled skeleton from a woolly mammoth sold at an auction in England this week to a private collector at auction house Summer's Place. The skeleton of a woolly mammoth, nicknamed "Monty", was recently assembled and auctioned off by Summer's Place Auctions. 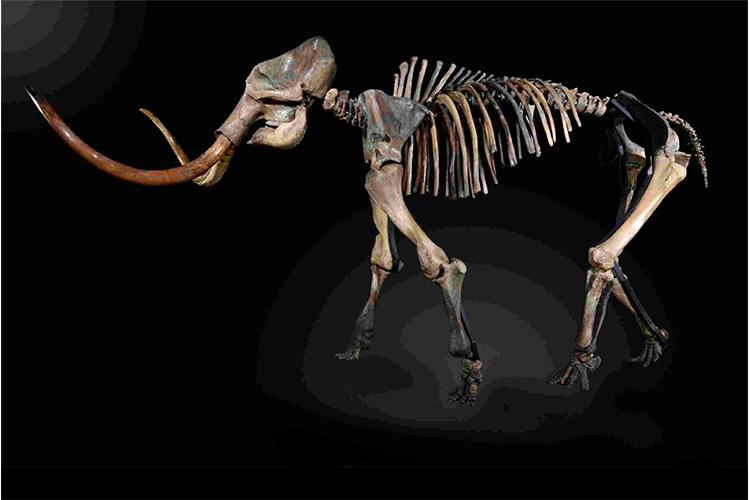 ''Monty'' is made up of of 150 bones, two tusks, making the the skeleton 90% complete. When assembled it measures an incredible 15 feet in length. The woolly mammoth has been extinct for more than 10,000 years, and ''Monty'' dates back to 50,000 years. It fetched a whopping £189 000. Summer's Place The Evolution auction included mammoth tusks and other collectibles including skeletons, taxidermy, corals and fossils.